Most people assume I live in a house that I designed and built, but I don’t. I live in a house in 12South that was built in 1928. And it still has its original windows. 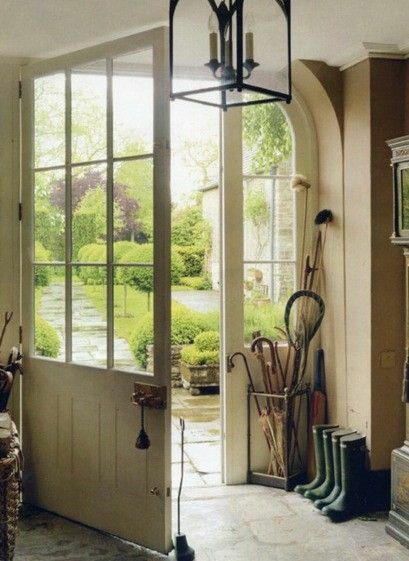 An old house is all I ever wanted. To think that no one wants them anymore, and that throughout Nashville we’re discarding them quickly and thoughtlessly, would affirm a sad trend of not valuing our country’s history. If we don’t keep something, there will be nothing. They’re not doing this in Europe, I promise. My No. 1 objective in the new year is to try to save some old houses in Nashville. Unfortunately, we’ve become a throwaway society, and it’s become no big deal anymore to just bulldoze an old house. Bynum Design has been guilty of it too and has torn down a few houses. But you better believe that the houses we’ve demolished were in terrible shape and weren’t contributing to the neighborhood. I’m not saying everyone should live in an old house. I want a new house, too. Well, that’s not exactly true; I’m working on a concept to keep the old house I have—a smallish Tudor that I’ve lived in forever—by salvaging the exterior and adding on to it to make it into the house I want. I think that’s where we should go as designers and builders in Nashville. We should respect what’s there and enhance it—make it better and make it live bigger and give people the things they want in a new house in an old house. This is more important now than ever, when empty lots are becoming more and more scarce, and we’re more often faced with the decision of whether or not to keep the dilapidated house that came on the lot we just bought or to just scrap it and avoid the headache of figuring out what to do with it. What I am calling for is more renovations and less bulldozers. 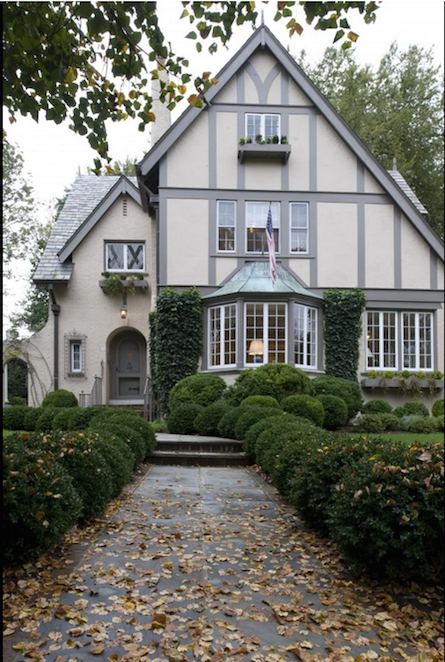 The house we renovated on Lawrence Avenue (see photo below), we renovated extravagantly—even taking off the roof and adding lots of height, not to mention a courtyard, two-car garage, and pool in the back—all while keeping its 1935 façade. That was a respectful response to that house and its history. (Speaking of old house history, I love to think of the house as it was being built. Poet T. E. Hulme wrote, “Old houses were scaffolding once and workmen whistling.”) The result: the flow of that lane through 12South isn’t interrupted. If you’re in an old neighborhood, you at least should make the house you’re renovating or building speak to the houses around it (even if six months later all those houses are gone because someone tore them down). Typically, these houses have eight-foot ceilings, and no one wants that anymore, so you have to take the roof off. And the floor system off. And make the walls taller. And figure out a way to raise the exterior but keep it tight. No big deal, right? People don’t want to live in little rooms. 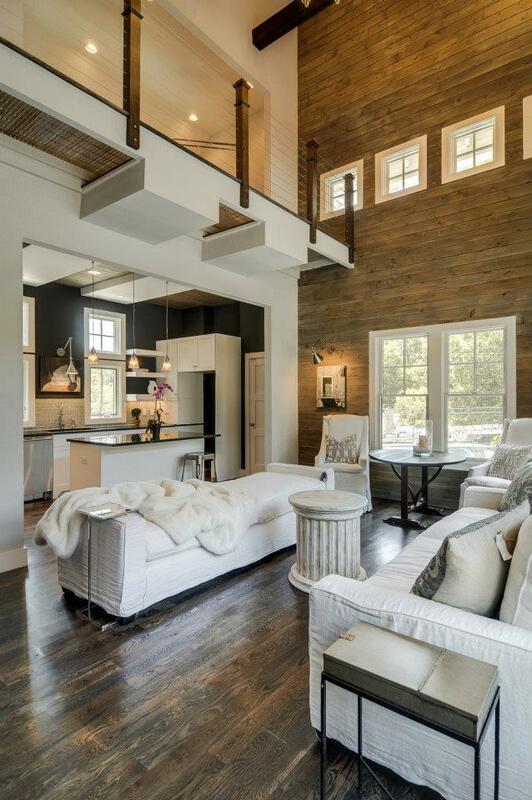 They want “open plan.” There’s a trend to make your house feel like a loft, and it’s a great look. We do it. You can do that in an old house, too. You have to do serious things to it, and it’s hard work. I get it. But it’s well worth it. 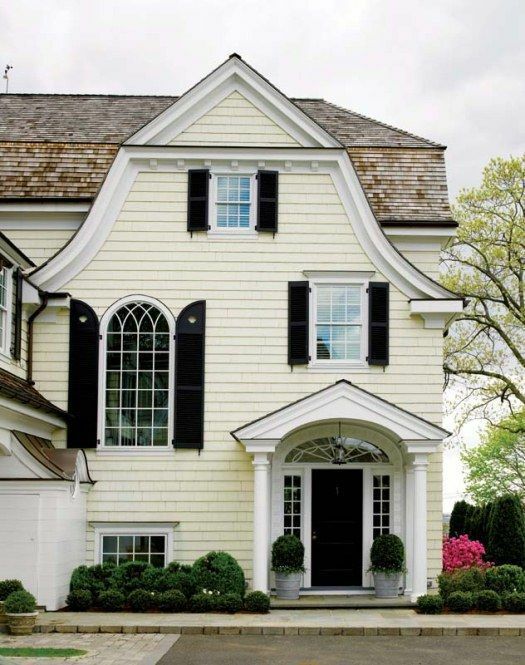 (It’s also worth noting that old homes don’t always have to go bigger. 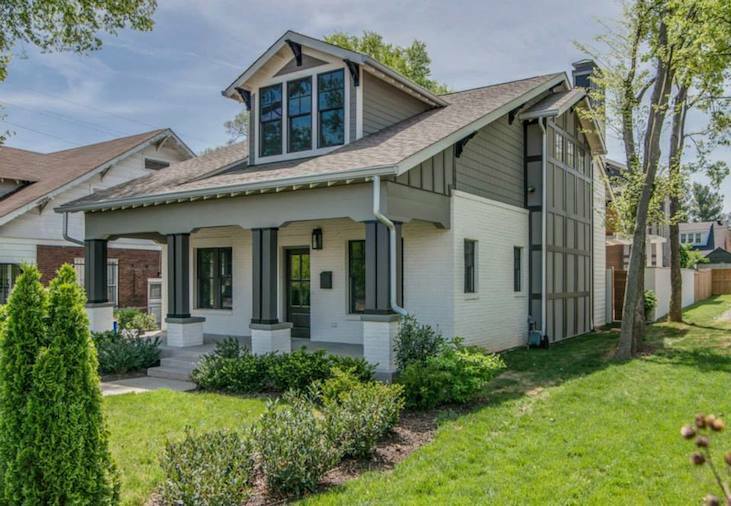 Mike Wolfe showed that with this reimagining of a 1932 home in East Nashville’s Cleveland Park, where he kept its original 1,300ish square feet). I hope that East Nashville can get some overlays in place and avoid what’s happened in 12South. Because 12South is almost gone in a way. There are so few remaining original houses. 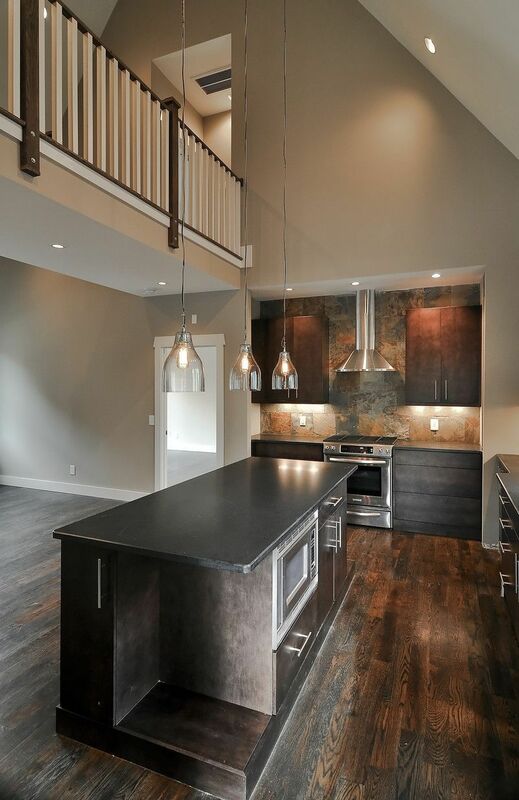 If you live in Nashville and are interested in doing a thoughtful, dramatic, quality renovation in 2015, I hope you will consider hiring Bynum Design. 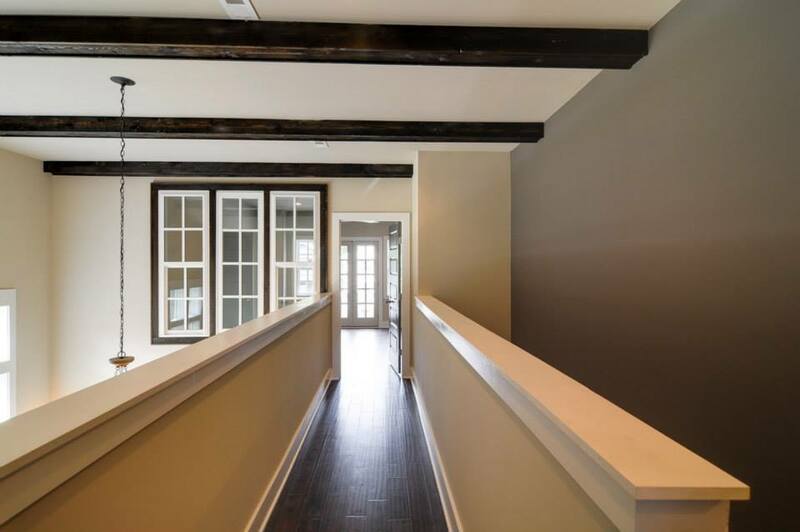 This entry was posted in Uncategorized and tagged Nashville old house renovation, nashville renovation, old houses, renovations on January 29, 2015 by Ellen Barnes. We—and most homebuyers, it seems—are nuts for vaulted spaces. However, since space in Nashville is at a premium and many lots these days are narrow as can be, we also have to be nuts about two- and sometimes three-story houses. So, the question becomes how to achieve big, airy cathedral ceilings without losing too much of that precious square footage or sacrificing flow upstairs? 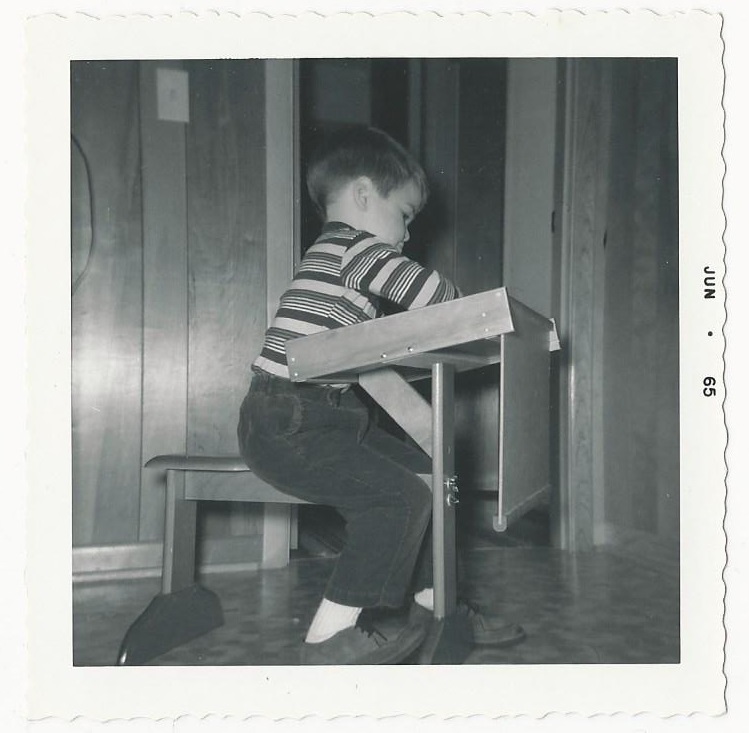 For us, the “interior bridge” has been a solution more than a few times. Not only does it get people from point A to point B upstairs, leaving lots of space for light from recessed lights, skylights, chandeliers, and stacks of windows on either side of the home, but it also creates effortless drama. Evoking a drawbridge over a moat in some cases, an interior bridge can have a castle effect. After all, sky-high ceilings like these were once only found in cathedrals and basilicas. In the modern home, they serve as a gesture of grandeur. A bridge can also help to section off a house, so that, for example, on one side is a master suite, while another side holds an office and a guest bedroom. At the same time, these bridges allow the upstairs and downstairs to feel more connected. It’s much easier to call downstairs, “Honey, can you bring me a beer next time you come this way?”, for instance, when your upstairs looks directly into your kitchen. Of course, not everyone is crazy about the vaulted ceiling. Though it is generally regarded as a luxury in that it allows the illusion of extra space without actually making the most of it, it has been faulted for eating up energy. Others still associate these ceilings with the ’80s and ’90s, when excess ruled so many schools of thought. 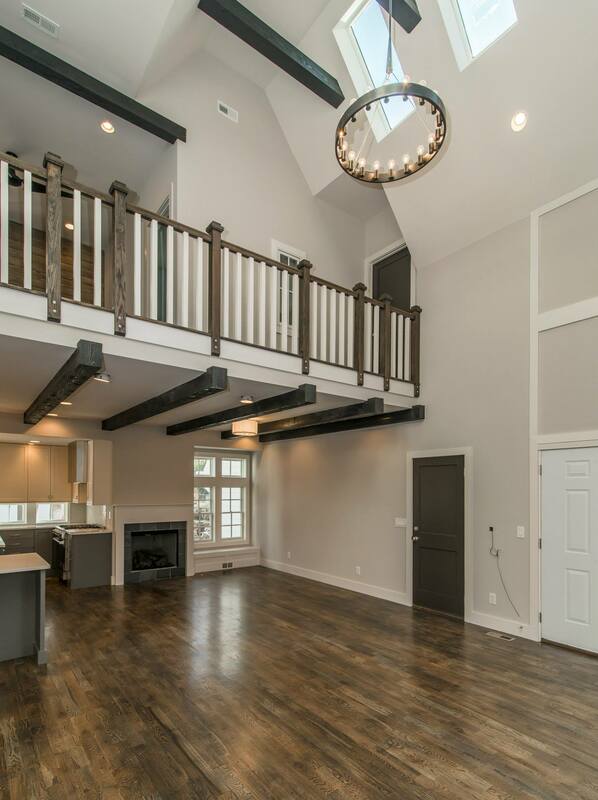 Like anything, a vaulted ceiling can be done poorly. Just imagine the vaulted ceiling from a few decades ago, covered in that popcorn texture. 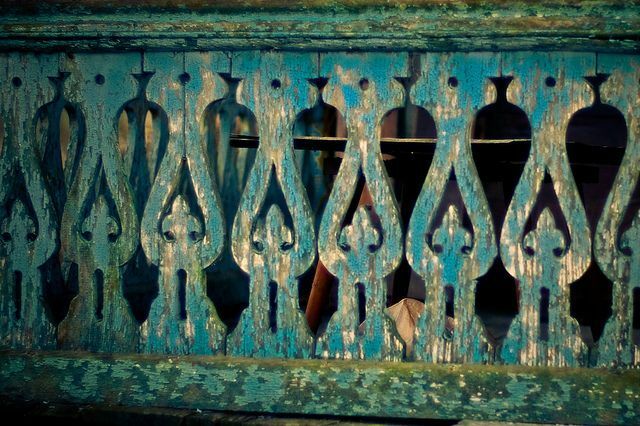 Perhaps our favorite thing about an interior bridge is the vantage point it allows. From an interior bridge, one may be able to peer down into a kitchen or a living space, to catch sight of a spectacular light fixture or accent wall, to truly get “the lay of the land.” Vaulted ceilings allow ceiling beams and trusses to take center stage in a home, and all this extra vertical space can give a large art canvas or even an indoor tree a place to flourish. These bridges also offer lots of room to play with materials. 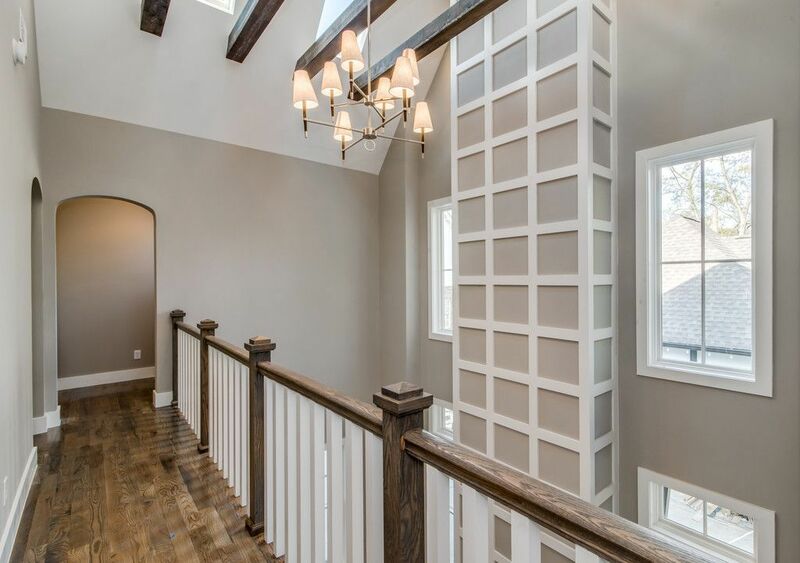 We tend to keep our bridges pretty traditional, with dark stained wooden banisters and white painted rails, but in more modern spaces we have seen glass-floored bridges and all kinds of appealing railing options. All of the photos in this post are spaces by Bynum Design in Nashville, Tennessee. Are you a fan of interior bridges? This entry was posted in Uncategorized on December 15, 2014 by Ellen Barnes.